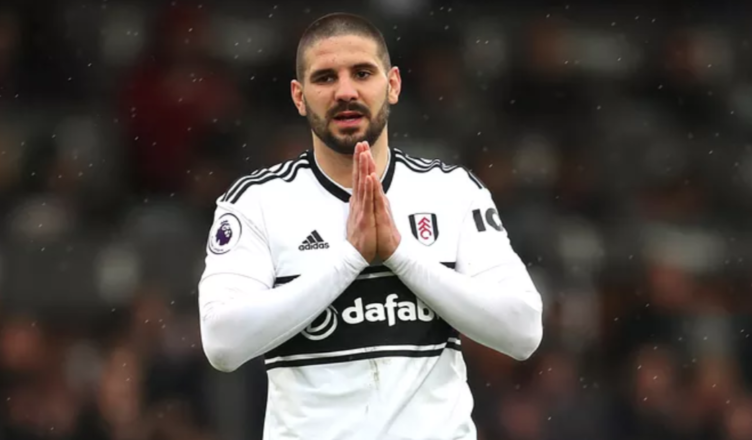 Staggering Aleksandar Mitrovic asking price revealed as Fulham prepare for the drop – Report – NUFC blog – Newcastle United blog – NUFC Fixtures, News and Forum. Fulham will demand £40m for Aleksandar Mitrovic this summer according to the Times – with the Serbian said to be desperate to leave ahead of their imminent return to the second tier. This comes less than a year after he swapped St James’ for South London in a £22m deal, however the 24-year-old’s 10 goals have been unable to keep Fulham afloat – with them 13 points from safety with just 7 games remaining. ‘Fulham are quoting an asking price of £40 million for Aleksandar Mitrovic eight months after signing him from Newcastle United for £22 million. ‘The Serbia striker, 24, will seek to leave Craven Cottage this summer if Fulham are relegated from the Premier League, but because there is no release clause in a contract that has more than four years remaining, the club are in a strong negotiating position. Unlike Salomon Rondon – who had a clause in his contract allowing him to leave West Brom for £16m when they were relegated last summer – it seems Mitro has no relegation release clause in his current deal, meaning Fulham are in a position to demand big bucks. He started the season brilliantly, looking in the shape of his life, a real handful and sharp in front of goal, but with just two goals in 12 games since the turn of the year, I can’t see anyone paying £40m. They’ll struggle to admit it now, but I saw several Newcastle fans seeming adamant that selling Mitrovic and replacing him with Rondon was a big mistake, but it’s been clear for a while now that Benitez was right after all. Mitrovic may earn himself a decent move this summer, and rightly so, but he may struggle to secure a quick exit if news of Fulham’s £40m asking price proves to be true. Well good luck with that Fulham, no British club will pay that. So will probably go overseas at that kind of money they want!